If only Sessions could comprehend that any violence is due to prohibition and the absence of legal regulation, not the plant itself. 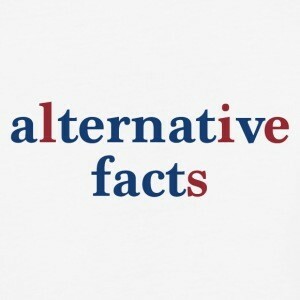 Attorney General Jeff Sessions became the second member of the Trump administration in less than a week to provide “alternative facts” and backward analysis when it comes to marijuana. Ironically, Sessions’ comments are actually an argument for legalization. There is some violence associated with the illicit marijuana trade – but it’s caused by prohibition and the absence of legal regulation, not the marijuana plant itself. Prohibiting marijuana is what makes it worth so much money. And there’s no legal mechanism for resolving disputes in the unregulated, multi-billion dollar marijuana trade – which inevitably leads to violence. When we had alcohol prohibition, we had Al Capone and shootouts in the street. Now that alcohol is legal, no one is murdered over a beer deal gone wrong. Likewise, the eight states that have approved legal regulation of marijuana are taking profits away from the illicit market and reducing the violence associated with it. Sessions and Spicer are out of step with the American public when it comes to marijuana policy. A poll last week found that a majority – 59 percent – of U.S. voters believe that marijuana use should be made legal in the U.S. Even more importantly, 71 percent agree the government should not enforce federal laws against marijuana in states that decide to legally regulate marijuana – including a majority of Republicans and older voters. Tony Newman is communications director for the Drug Policy Alliance. When Donald Trump was running for president, he had three things to say about marijuana policy: He was “in favor of medical marijuana 100 percent,” he was skeptical of legalizing it more broadly, and marijuana policy should basically be left to the states. Last Thursday White House spokesman Sean Spicer drew a clear distinction between medical and recreational marijuana. Medical use, he stressed, was not a concern, both because “the president understands the pain and suffering that many people go through who are facing especially terminal diseases and the comfort that some of these drugs, including medical marijuana, can bring to them” — and because the Rohrabacher-Farr amendment, enacted by Congress in 2014, prohibits the Justice Department from going after medical marijuana in those states that legalized it. Recreational marijuana, by contrast, was “a very, very different subject” and hence “greater enforcement” of federal marijuana laws could be anticipated. In pulling back from Mr. Trump’s assurance during the campaign that states should be left to decide their own marijuana policies, Mr. Spicer made clear that a battle is coming over marijuana policy. It will be a fight that pits a Justice Department headed by a fervent prohibitionist, Attorney General Jeff Sessions, against the eight states — Alaska, California, Colorado, Maine, Massachusetts, Nevada, Oregon and Washington — in which voters have approved ballot measures to legally regulate marijuana, as well as other states likely to legalize marijuana in the near future. There’s probably not much the Trump administration can do to reverse public support for legalizing marijuana. A Quinnipiac poll last Thursday found voters in the United States favored legalization by 59 percent to 36 percent, with only Republicans and older voters opposed. An impressive 71 percent, including majorities of Republicans and older voters, think the federal government should not interfere in states that have legalized marijuana. Gallup and other polls report similar findings, including strong majority support for legalizing among Republican millennials. What Mr. Sessions’ Justice Department can do, however, is cast a chill over the rapidly growing legal and regulated marijuana industry by targeting key players with raids, seizures of property and prosecutions in federal court, and by challenging the ability of state authorities to regulate the industry. That would be shameful given the demonstrable benefits of legal regulation: tens of thousands of taxpaying jobs; hundreds of millions of dollars annually in state tax revenue; strict oversight of cultivation, product production and distribution; savings in law enforcement costs; and far fewer young people, disproportionately African-American and Latino, saddled with criminal records. Donald Trump the businessman should get this but Jeff Sessions, the reefer madness ideologue, doesn’t care. Governors, attorneys general and legislators in the legal marijuana states (including many who initially opposed legalization) are preparing to resist federal interference in this area as in others. That is because they can see that legally regulating marijuana better advances the public safety and health objectives of state — and federal — drug policy than does persisting with ineffective prohibitionist policies. Mr. Spicer’s comments made clear what Congress most needs to do. When it re-approved the Rohrabacher-Farr medical marijuana amendment in 2015, by a vote of 242 to 186, it also narrowly failed to approve, by 206 to 222, a McClintock-Polis marijuana amendment that would have prohibited the Justice Department from going after recreational marijuana in the states that had legalized it. That same amendment would almost certainly pass today given both the doubling in the number of legal marijuana states this past Election Day as well as changes in the composition of the House. It should be a top priority of the newly created, bipartisan Congressional Cannabis Caucus, which includes the second-longest serving member of Congress, the Republican Don Young from Alaska. The federal government, even during the Obama administration, has never been a fount of evidence-based marijuana policy. Mr. Spicer, with his comments linking marijuana legalization to the opioid addiction crisis, carelessly extended that tradition by getting the link exactly backward. The popular depiction of marijuana use as a “gateway” to subsequent abuse of other illicit drugs has been rejected by the National Academy of Sciences’ Institute of Medicine. Legally regulating marijuana separates it from markets in other illicit drugs. And abundant evidence has also emerged of people substituting marijuana for opioids to manage different types of pain, with notably lower rates of fatal overdose in states that allow medical marijuana. Ethan Nadelmann is the founder and executive director of the Drug Policy Alliance.